GeForce GTX 1070 is a high-end graphics card from Nvidia built on the Pascal GPU architecture. The card comes with 1920 CUDA Cores and 8 GB GDDR5 memory having 256-bit interface. This is a VR Ready card and can run all the latest games on Ultra graphics settings at 1440p resolution comfortably. You may be able to run some of the older games at 4K but with some reduce graphics settings. GeForce GTX 1070 supports Nvidia SLI for multi-GPU setup, DirectX 12, OpenGL 4.5, Vulkan, G-Sync, Nvidia GPU Boost, Nvidia Ansel. The card has maximum power consumption of 150W and it requires a 500W PSU for its working. The main competitor of GTX 1070 is the Radeon RX Vega 56 which is a Vega series graphics card from AMD. GeForce GTX 1070 is available from different brands with different sizes, models, overclocking ability and cooling performance. 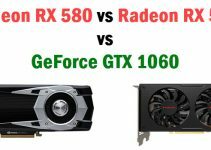 So here I am going to list down the best GeForce GTX 1070 cards for users with different requirements or needs. If you looking for the best value for money GTX 1070 then GeForce GTX 1070 G1 Gaming 8G fits the description perfectly. This is one the cheapest GTX 1070 cards that you can currently find in the market. The is an overclocked card and for cooling it comes with Gigabyte’s WINDFORCE 3X cooling system having three fans, and heatsink with heat pipes for better dissipation of heat. The card runs quite cool and silent too. This is a big card and you would require a good mid-tower or full tower case to accommodate it. 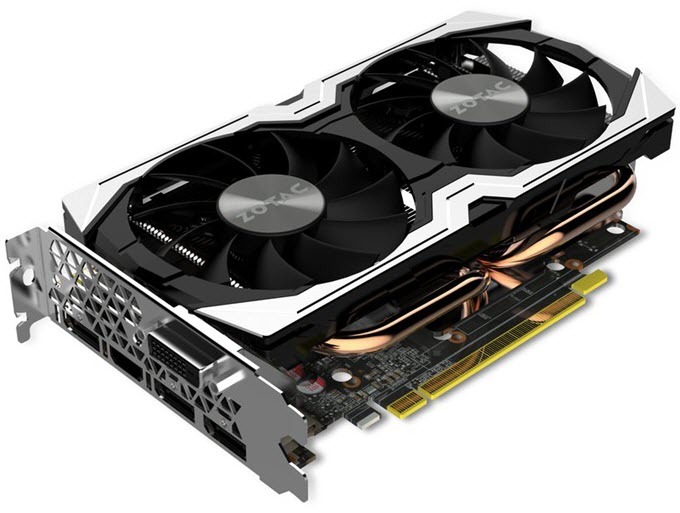 Other features of this GTX 1070 card include RGB LED lights, LED power indicators and a metal backplate to give the card extra rigidity and strength. 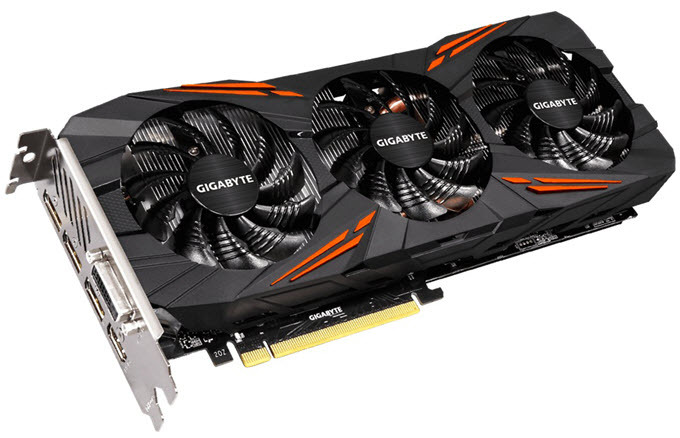 You can overclock this card further using Gigabyte Xtreme Engine overclocking utility. The card requires one 8-pin PCIe power connector and a 500W PSU for its working. Overall a pretty good GTX 1070 card for the price and is highly recommended by me if you are on a tight budget. 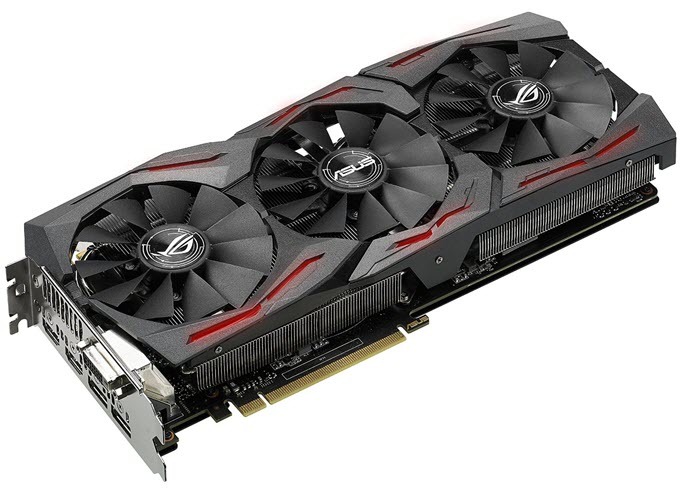 If you want the fastest and most overclocked GTX 1070 graphics card then ASUS ROG Strix GeForce GTX 1070 is for you. 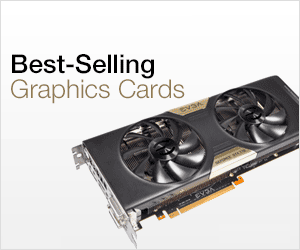 This is a very powerful and big graphics card that comes with triple fans and DirectCU III with 0dB Fan Technology. When the graphics load is less, all the fans completely turn off, thereby making the card completely silent in operation. Even during intensive gaming the card temperature remains under control. The card comes with RGB LED lighting, solid metal backplate and VR Ready dual HDMI ports. The card requires one 8-pin power connector and a 500W PSU for its working. 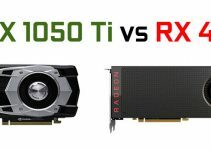 Overall a great card for high-end 1440p gaming. If you are looking for a SFF GTX 1070 for your small form factor or mini-ITX case then ZOTAC GeForce GTX 1070 Mini will serve your purpose perfectly. This is a compact GTX 1070 card from Zotac which is only 210mm in length and can fit most of the small form factor cases. The card has dual slot design and comes with dual fans for cooling. The heatsink has got copper heat pipes for better dissipation of heat. The card comes slightly overclocked and requires one 8-pin and 500W power supply for its working. Connectivity options include three DisplayPort, one HDMI and DVI port. Another very good compact GTX 1070 that I suggest is the Gigabyte GeForce GTX 1070 Mini ITX OC 8G which comes with a single fan and is only 169mm in length and can fit all the SFF cases. If you want high performance and quieter GeForce GTX 1070 card then MSI GeForce GTX 1070 GAMING X 8G is a very good choice. The card is powerful and runs very silent and cool. The card comes with TWIN FROZR VI cooling system equipped with dual TORX 2.0 fans. The fans stop when the temperature of the card reaches under 60°C and kick back in action very silently when the temperature goes above the threshold range. This is also one of the best looking GTX 1070 cards and the RGB LED lighting looks very cool too. This is an overclocked card and is fully optimized for VR. It also has metal backplate on the back that gives the card more rigidity. 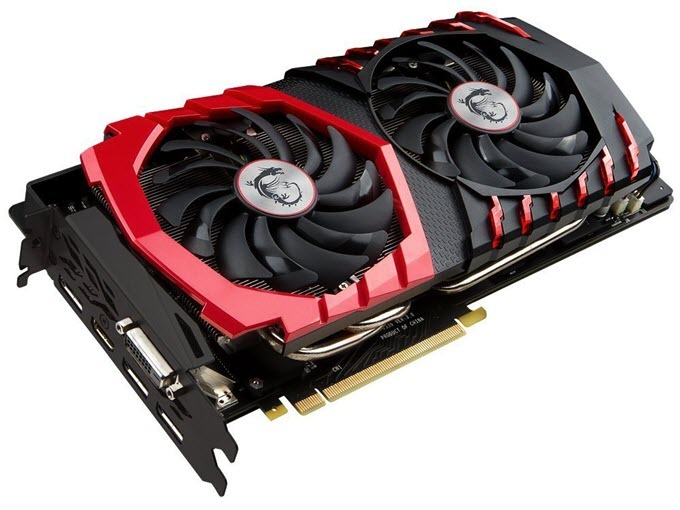 This MSI GTX 1070 card requires one 8-pin PCIe power connector and 500W PSU for its working. If you have some queries or are still confused on which GTX 1070 card to get for your gaming needs then you can ask me your doubts by leaving a comment below.